What type of foodservice operation is turning away dining customers at its doors? For the answer to that question and many more, we spoke with Dave Hegnauer, co-owner (along with Chef Carrie Hegnauer) of The City Kitch. What is The City Kitch? If you’ve ever needed to rent commercial kitchen space, you’re already familiar with the fundamental idea behind The City Kitch. The husband and wife team wanted the business to be a type of “incubator for food businesses and help them grow.” Their business provides foodservice operators of all types (caterers, food trucks, etc.) equipment and space along with some additional benefits. Space was one of the first challenges when they were looking for a facility to house their idea. They found the traditional restaurant set-up which was a challenge for them – a large dining area and small kitchen. Eventually they found a space that they could work with and that space now hosts a huge 5,800 sq. ft. kitchen, 45 ft. of hoods, and 2,200 cubic ft. of walk-in space. The City Kitch also has 24 hour secure access for clients. And the location is licensed and permitted by the health department as are all clients. If the large kitchen and prep area isn’t enough, the space available for instructors to come in and teach certainly is an added bonus. 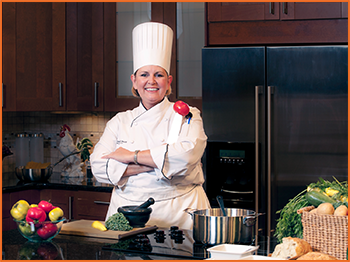 Even more valuable is having Chef Carrie, a Senior Chef Instructor with the Johnson & Wales University for 20 years, as an available instructor. That’s not all. The City Kitch owners are designing the teaching area / demo kitchen that will double as the studio kitchen for video and photography needs. Given Chef Carrie’s teaching background, it’s no wonder that The Hegnauers are strong believers in developing a culinary passion in kids. Summer Camp for Kids starts in July for those aspiring rock-star chefs. Kitchen condos are on the docket. 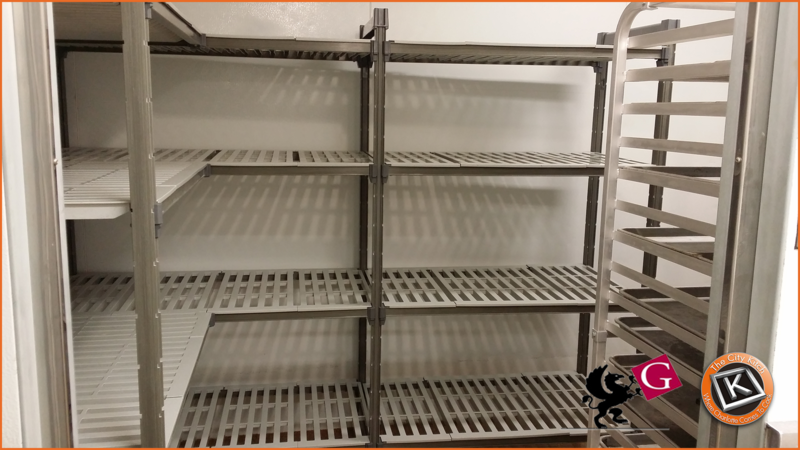 Space for 18 private prep spaces (private refrigeration, hand sinks, prep sinks, storage, work tables, shelving) will be available soon. Want to be the next Cambro Business of the Week? Nominate yourself – click here! 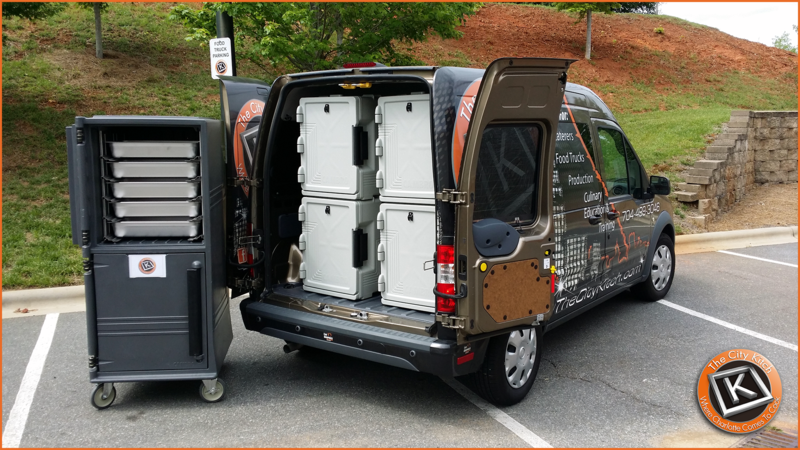 School FoodService Will Get Groovy with Cambro at the 2014 SNA ANC!